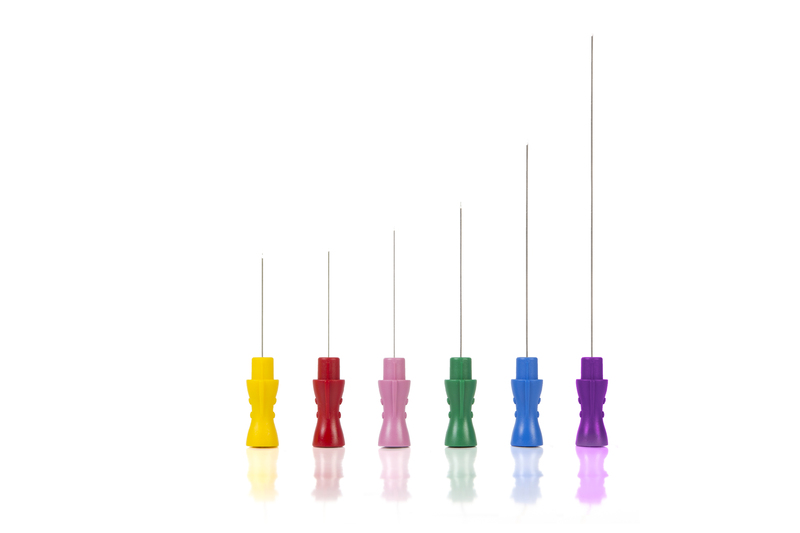 The newly designed Cadwell concentric needle has a machined sharpened tip and matching material properties of canula and core for optimal signal quality and excellent noise reduction. A gold plated orientation free coaxial connector. Redesigned canula to reduce friction during insertion. Cable is 1.25M/4' long and terminates in a shielded 5-pole DIN connector. It is reusable and sold separately. These needles are highly consistent and accurate. An ergonomic hub design with an index mark provides improved control. Hub is color coded according to length and diameter of needle. Each box contains 25 individually sterilized and sealed needles. Cable is 101cm/40" long and terminates in a 5-pole DIN connector. It is also reusable and sold separately. Needles are single patient use only. Has a machined sharpened tip and matching material properties of canula and core for optimal signal quality and excellent noise reduction. A gold plated orientation free coaxial connector. Redesigned canula to reduce friction during insertion.